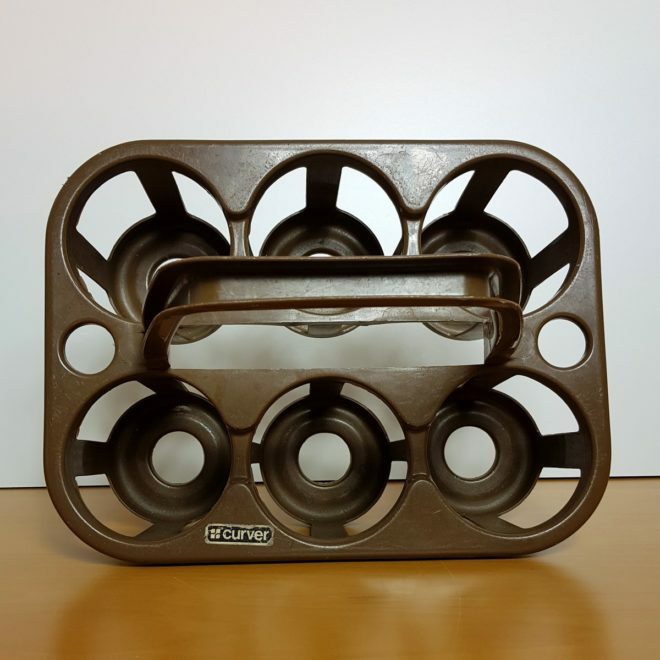 Brown plastic bottle carrier from the 1970’s, able to carry six bottles. 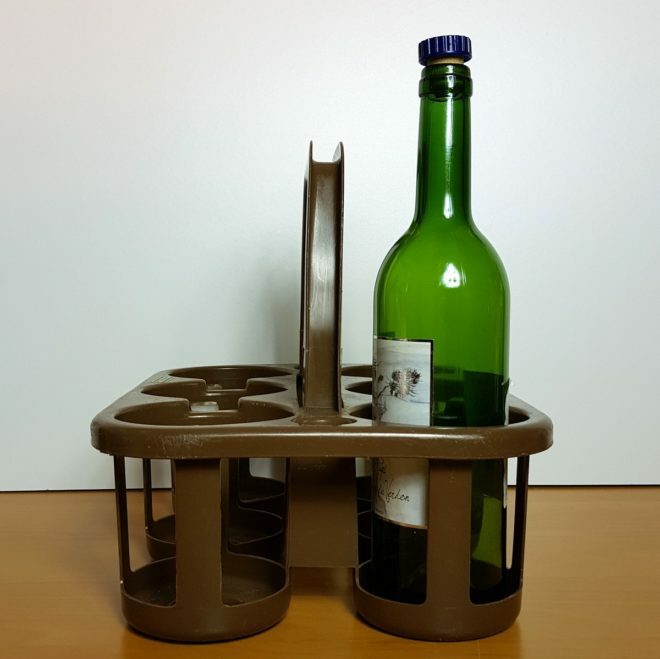 If you’re looking for an unusual way to store your wine or soft drink bottles, look no further! 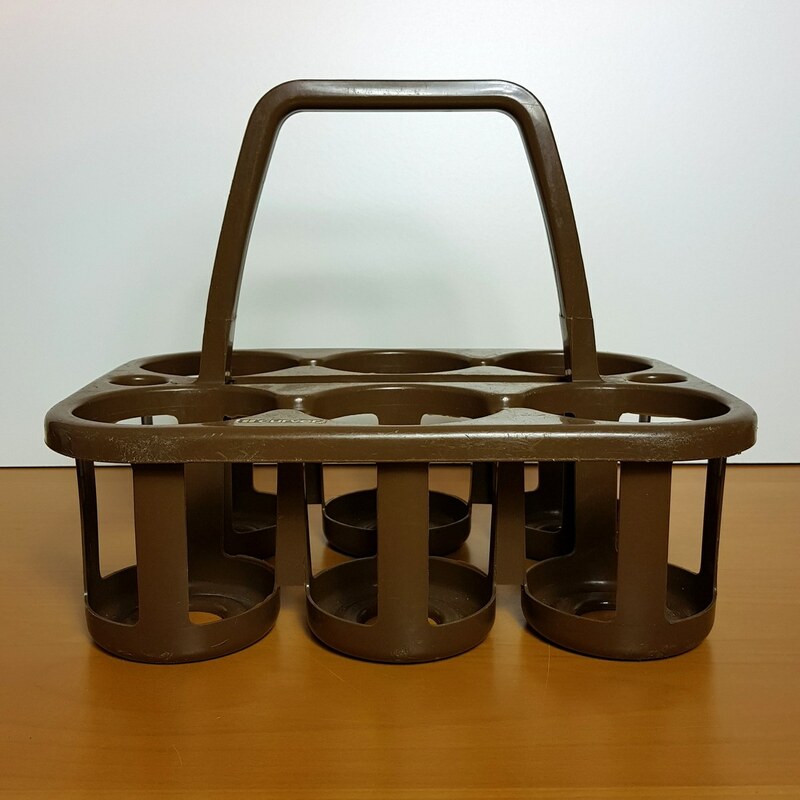 This is a sturdy carrier and ideal for bringing home those heavy bottles, or just another way to brighten your doorstep for milk deliveries!